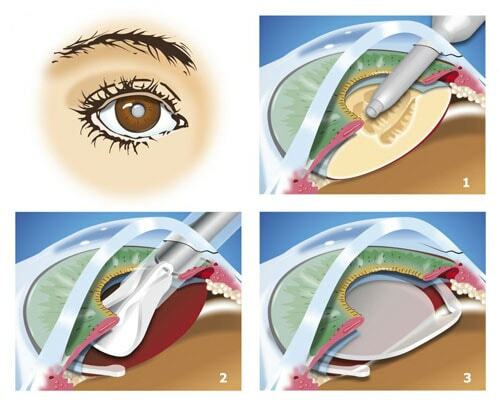 The described techniques have been approved by many Ophthalmological and Scientific Societies; the text used is commended by the B.S.C.R.S (Belgian Society of Cataract & Refractive Surgeons) in its brochures on Cataract Surgery, a common work of a panel of Ophthalmologists. The B.S.C.R.S. has 220 members, all Ophthalmologists. 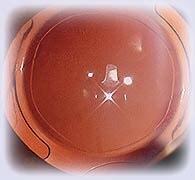 The natural crystalline lens (see Eye) becomes more opaque with time; this is a natural ageing process. Most of the patients being operated on are over 65 years. However, in some patients, the cataract can start earlier than for others; diabetics, high myopes are more at risk of having a cataract earlier; some systemic diseases or the use of drugs (cortison) can play a role. The main sign of cataract is that the vision diminishes far and / or near;, becomes more foggy with time, poorer perception of colors, as well as light aberrations around certain point light sources, can also be observed.and cannot be corrected by glasses anymore. It is then necessary to undergo a surgical operation. The surgeon, with a small incision of 2.8 mm, will remove (in fact, destroy by ultrasound) the lens become opaque and replace it with a small lens, also called implant, or artificial lens. The procedure is performed under local anesthesia (so-called “topical” anesthesia); only drops are applied to the eye a few minutes before the operation. A small sedative is usually given for the comfort of the patient. For very nervous or anxious patients, a general anesthesia can be practiced, as well as for special cases, as for example in case of great myopia, etc. This surgery is performed in ambulatory, that is to say without hospitalization; the patient is allowed to leave the center one hour after the operation. The eye is protected by a protective shell, to avoid a shock. This hull is worn 24 hours after the operation and then only at night for a week.The day after the operation, the operated eye will be checked at the consultation, to measure the visual acuity and the tension of the eye; a care sheet with all the explanations concerning the postoperative treatment (antibiotic eye drops and anti-inflammatory eye drops) and the precautions to be taken, is then given to the patient. If necessary, the second eye can be operated fairly quickly after the first one. The purpose of the surgery is to improve visual acuity, and to allow the patient to function without constantly wearing glasses; however they can be prescribed to further improve the sight, or so for reading. It should be noted that visual recovery is usually rapid after surgery; most patients are able to watch TV on the first day (s). It is important to remember that the costs of this surgery are not completely covered by I.N.A.M.I. Some of the sterile material is at the patient’s expense, but can be reimbursed by complementary insurance (from the mutual insurance company) or by private insurance. 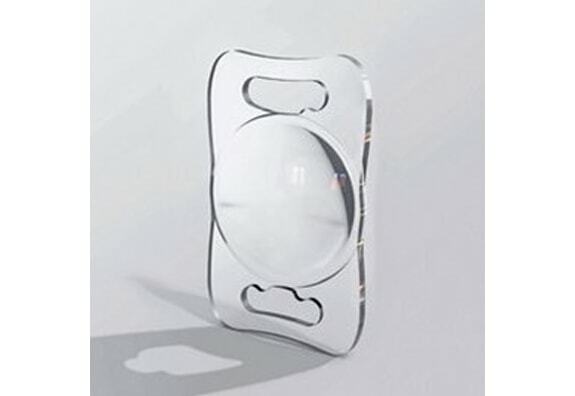 Several implants or artificial lenses exist on the market. The most frequently used implants are soft, pliable, injectable by a small incision. The power of this implant is calculated during preoperative examinations. It seems more interesting to get a good view from a distance without glasses (a particular type of implant or toric even allows to correct the astigmatism associated with myopia or hyperopia), and to wear an optical correction for reading . However, some patients may have other wishes. A new type of artificial crystalline lens has recently been available, making it possible to correct the sight from afar, but also the near vision, thus allowing reading without glasses. But beware, there have been many problems in the past with this type of implant “bifocal”, and new trifocal or multifocal implants are still subject to clinical study. They could indeed be responsible for a decrease in the perception of contrasts and create luminous aberrations in the evening, making night driving difficult. Finally, in some cases, near vision has not been corrected by the implant at all. 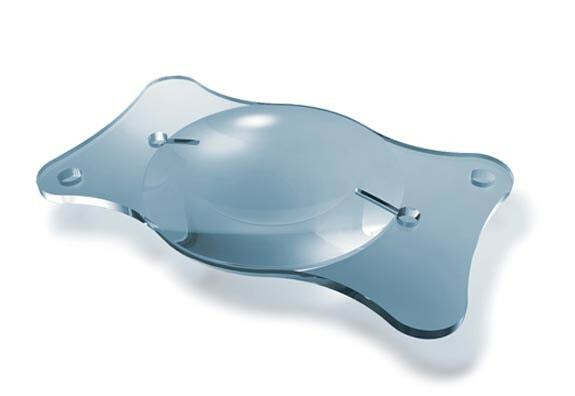 These implants are indicated in very specific cases, depending on the preoperative defect (myopia, hyperopia or astigmatism) and only if they can meet the specific needs of certain patients. They are not reimbursed by the I.N.A.M.I., But can be reimbursed by certain private insurance. These are brochures published by a commercial firm, for the simple purpose of making you understand the operation of these implants. These brochures were not produced by Dr. Mathys, who assumes no responsibility for its content. They do not replace a consultation with your ophthalmologist.